It's basically an unwritten rule that sequins are not only appropriate, but completely essential, for the holiday season. Which is why I pulled this skirt out from the depths of my closet for a Christmas party recently. I love how the sequins are oversized and a bit different from their smaller, shinier brethren but still make just as much of a statement. What's your favorite holiday party outfitt? I wore a similar combination last week to a holiday party (and then again for date night!). 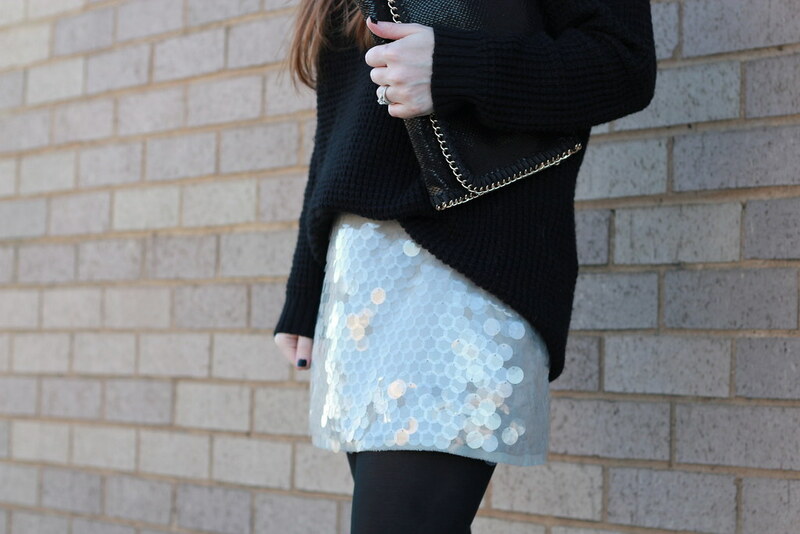 You can't go wrong with a shimmery skirt and Louboutins! Perfection. 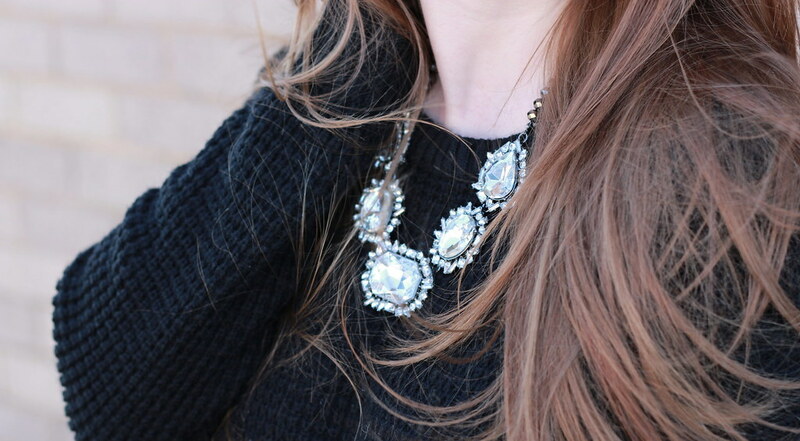 Love the iridescence of the sequins, and how they contrast with the black sweater! Super cute! I love that skirt! Love the oversized sweaters with mini skirts! You're so tiny too it looks great on you! Love love it!! The larger sequins are so different! And it looks great with the sweater.